Only one day after our sad 0:0 against Cologne and some days before our Champions League match versus Juventus Turin, there was a highlight for a lot of Borussia Dortmund fans. 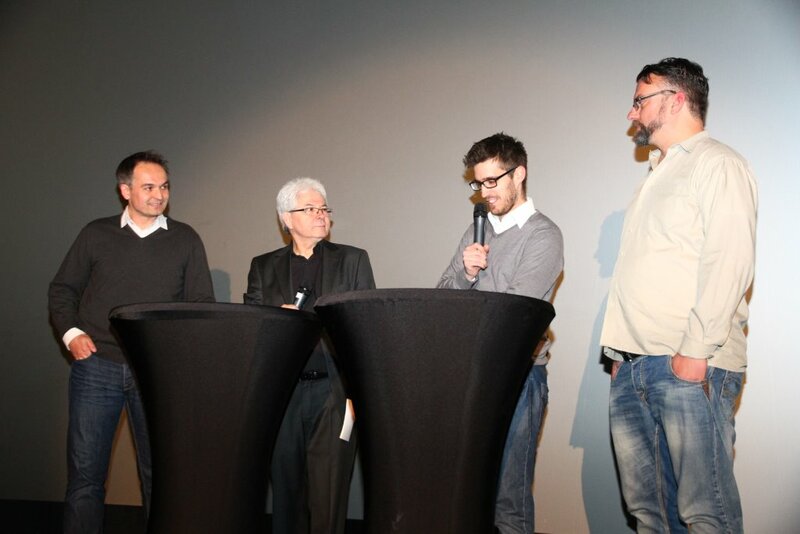 In Dortmunds biggest cinema “Cinestar” round about 600 viewers saw the premiere of the movie “Am Borsigplatz geboren - Franz Jacobi und die Wiege des BVB” The English translation of the film title explains the contents of this movie: “Been born at Borsigplatz - Franz Jacobi and BVB’s cradle” or in other words “Franz Jacobi and the birth of Borussia Dortmund”. It’s a real great movie about the foundation of our beloved club in black and yellow. 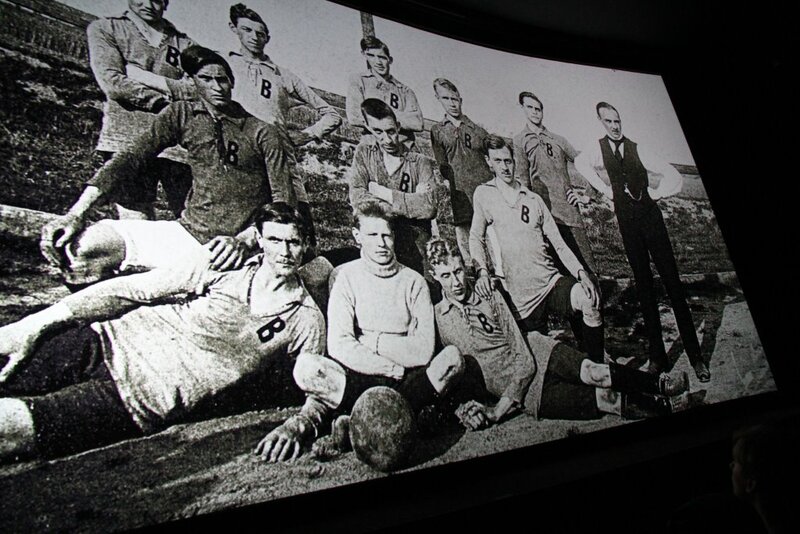 And the movie answers us a lot of questions respectively delivers a lot of statements and descriptions what happened 105 years ago in Dortmund, when Franz Jacobi and friends decided to establish the football club “Borussia Dortmund”. Who were the founders of Borussia Dortmund? What was their motivation for founding this club? What was part of the church during the first years when football became popular in Germany and especially in Dortmund? Why are the colours of our BVB black and yellow? How was the relationship between BVB, the area around “Borsigplatz in the North of Dortmund, the steelworks of “Hoesch” and Dortmund’s growing population? The movie answers all and all these answers are exciting and thrilling without any moments of overlength or boredom. It took two years of hard work for the project managers of the movie to create this black and yellow masterpiece from the first idea to last Sunday’s premiere. The project leaders Jan Henrik Gruszecki, Gregor Schnittker and Marc Quambusch have two characteristics in common. They are all working as journalists and authors and for sure much more important: all three guys are 1909 % BVB supporters. Their project-work and of course also the work of many supporters included a lot of desk research like classification of old documents and photographs, contacting several public authorities and a lot of interviews with witnesses or successors of witnesses. Imagine they researched for facts originating from more than 100 years ago. Writing the script, the choice of costumes, actors and locations had been other important parts, without a doubt all costly in terms of labour. 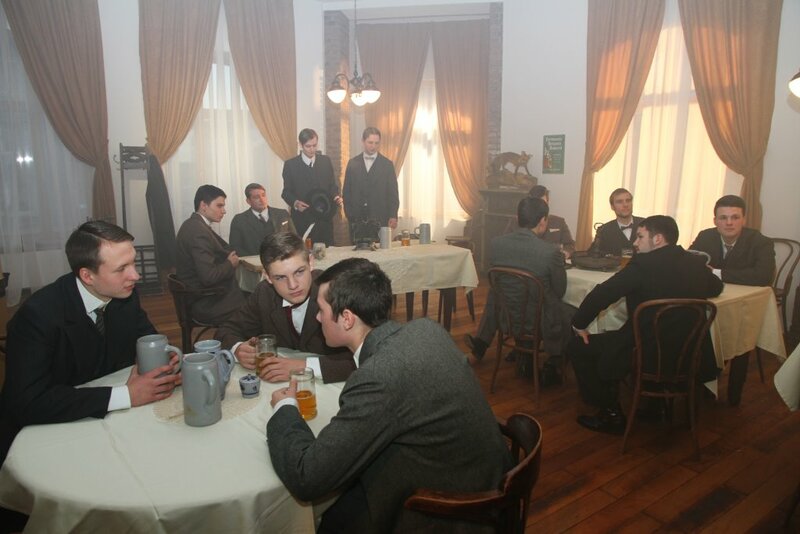 It’s a must to mention that the shooting about the foundation of our club has been realized at the original location. The so called “Spiegelsaal” (Mirror Room”) a part of the former “Wildschütz” pub, very close to Dortmund’s “Borsigplatz” is now an owner-occupied flat of project leader Jan Henrik Gruszecki. So, black and yellow past meets black and yellow presence. Another interesting fact was the financing of the movie project. Sponsors contribute a lot of money but donations of fans, managed by a crowdfunding turning out as the biggest share. Worth to mention is also another memorable occasion. The project leaders found out that Franz Jacobi, the founder and first president of Borussia Dortmund left Dortmund during the beginning of the Seventies and was buried together with his wife Lydia in Salzgitter. It was a ceremonial act when Franz Jacobi’s and his wife Lydia’s mortal remains have been moved to another grave at Dortmund’s cemetery “Südwestfriedhof”. The founder of Borussia Dortmund and his wife had returned to their hometown. So, what’s the summary after the premiere of this great movie? We all must have in mind that the foundation of Borussia Dortmund and its circumstances in 1909 are of course not an unknown chapter in our club’s chronicle. But a lot of details regarding these first years had been unknown or more or less uncertain until yet. Now a lot of these details often combined with very emotional impressions are preserved because they are all definitely too precious to be forgotten. The length of the movie is around 90 minutes and yes, I will repeat myself, this movie is absolutely worthwhile watching it. It is a MUST for every Borussia Dortmund supporter as well as for everyone who is interested in the history of Dortmund and Germany’s industrial area “Ruhrgebiet”. After presenting the movie in probably two of Dortmund’s cinemas during the upcoming weeks the production of a DVD will be the next step. And this includes good news for all Non-German speaking watchers: There are plans that the DVD will also include the English language. All profits of the DVD sale will go to BVB’s Charitable Donation.”Leuchte auf” or will go to other comparable charity foundations.